GIFFIN. 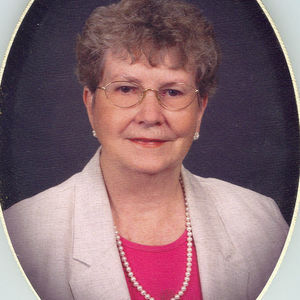 Mary (Clark) Giffin, 83, of Windsor, beloved wife of the late Warren E. Giffin died Monday, (January 5, 2009) at Hartford Hospital. Born September 29, 1925 in Hartford daughter of the late Arthur A. & Laura (Thrall) Clark, she lived in Windsor most of her life. Mary graduated as valedictorian from John Fitch High class of 1943 and from Simmons College class of 1947. Before retiring in 1990 she taught at Bloomfield High School for 23 years specializing in Business Education. Mary was named Business Educator of the Year for the State of CT in 1983 and was a member of the B.E.A. She was a long time member of The First Church in Windsor, Congregational and past president of the Womens Club. Mary was the past president of the Windsor Tobacco Museum and a charter member of the Bloomfield Town & Country Garden Club and the Windsor Historical Society. She was a member of DAR, Abigail Ellsworth Wolcott Chapter, the Windsor Brush and Pallet Club and the Windsor Jesters. Mary was a devoted & loving wife, mother, sister, daughter and friend. Mary is survived by two sons, Gregory G. Giffin and is wife, Barbara of Glastonbury, Christopher A. Giffin and his wife, Karen of Shrewsbury, MA; two daughters, Martha ODonnell and her husband Mark of Windsor, Lisa Hasko and her husband, Greg of Southington; ten grandchildren, Nick, Katie, Julianne, Samantha, Dana and Matthew Giffin, Liam ODonnell, Rebecca, Nicholas and Jason Hasko; a dear niece, Judith Pfunder other nieces, nephews and dear friends who gave her much joy in her life. A memorial service will be held Saturday, January 10, 11 a.m., at First Church in Windsor, Congregational, 107 Palisado Ave., Windsor. Burial will be private in Palisado Cemetery, Windsor. There are no calling hours. In lieu of flowers donations may be made to, First Church in Windsor, Congregational, 107 Palisado Ave., Windsor, CT 06095. Carmon Windsor Funeral Home has care of arrangements. To leave on-line condolences please visit www.carmonfuneralhome.com.